If you bother to find out which category of destinations that the honeymooners choose the most, you will come to know that the choicest honeymoon destinations will be the islands and islets that are invariably far away from the mainland with some exceptions of course. For example, Sicily is an island in Italy that is not too far away from the mainland Italy but it is a hot destination for the just married couples. Oh, I should mention the second honeymooners too. These are some of the islands around the world that are the most traveled by the honeymoon couples. 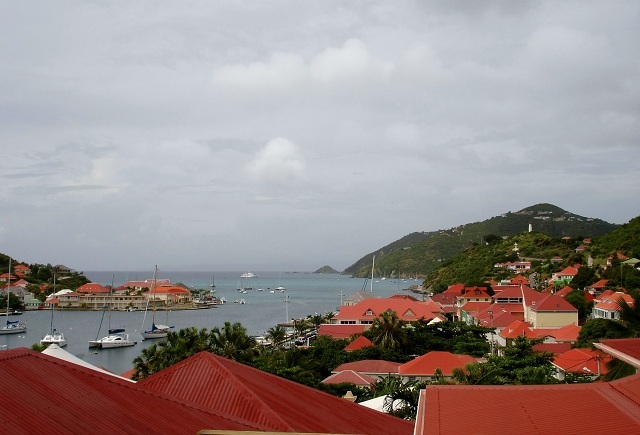 Saint Barthélemy is its other name that somehow got abbreviated to St.Barts. It belongs to the French Government. It has remained under the French Overseas Territory for long enough for the residents to speak French, eat French, and follow French culture. Maybe it is one of the reasons the island is favored by the honeymooners as romance is somehow deeply associated with France. 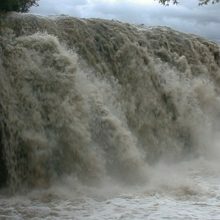 St. Barthélemy’s neighboring islands in the Caribbean Sea are St.Martin and St.Kitts. They are just about an hour’s ferry trip. St. Barthélemy is part of the Leeward Islands in the Caribbean. The islands in the Caribbean that come under the French Overseas Territory are called the French West Indies. Not only the honeymoon couples but also tourists from the U.S. and France arrive in truckloads (plane loads) during the Christmas holidays. That crowd includes top celebrities of the world like Jessica Alba and Isabella Khair Hadid (Bella Hadid). During New Year Eve, you can spot the worlds highly sought after models and actors. Being a French territory, it seems everything here such as food, lodging, and designer fashion materials are all expensive. The 20+ odd beaches in St.Barths (another name) are the main localities where you can see the just married couple linger around, arm in arm. 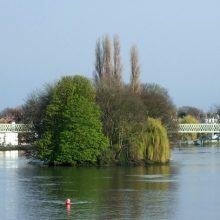 You cannot ask for a more perfect hideout island for the honeymooners or yet-to-be married lovers-right? The Ionian Islands are located in Greece. 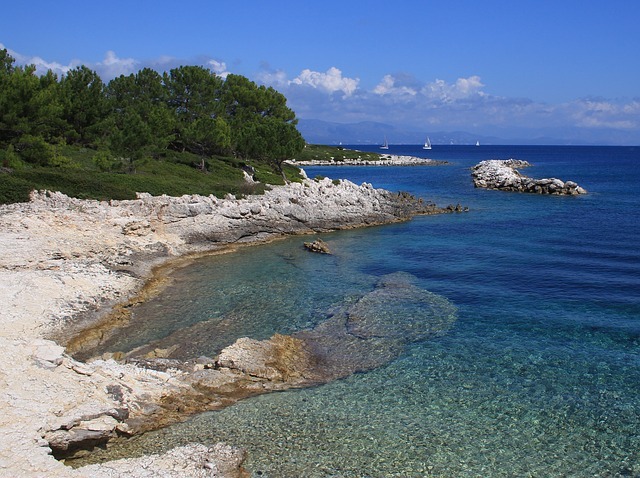 The Ionian Islands are very much on the cruise route of all the popular cruise ships and yachts. They dock in any one of the Ionian Islands after visiting other Italian and Greek Islands such as Patras, Brindisi, and Ancona. All are Greek names but each one of the Ionian Island has an English name too. For example, the Zakynthos Island is known as Zante in English. 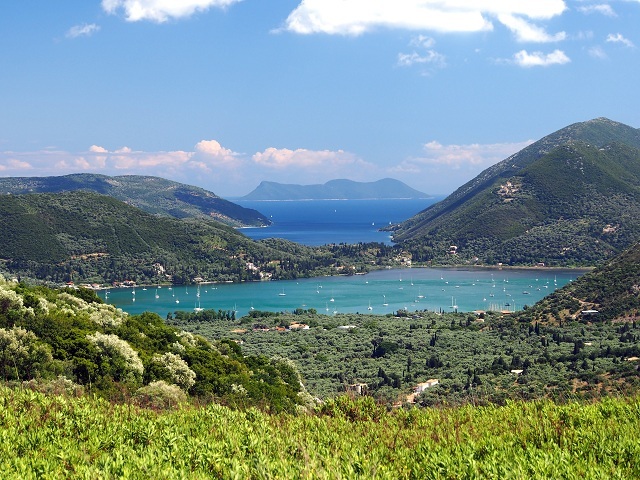 Every Ionian Island on Greece’s west coast is strikingly beautiful and anyone who is romantically inclined would be magnetically attracted by these islands. 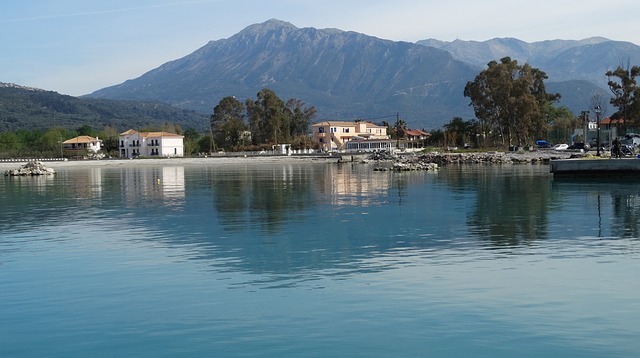 That is the Lefkada island for you. Tell me, do you really think only honeymooners visit this dreamy looking island? All of the seven Ionian Islands remain very natural; I mean, not too much of commercialism has spoiled the natural beauty of these islands on the Ionian Sea. Actually, they are all part of Greece as one of the several regions. One of the seven Ionian Islands, the Paxi (Paxos) attracts a large number of tourists to walk along the nearly 14 km of olive tree grove that comprises as many as 200 thousand olive trees. Paxos is a breathtakingly beautiful island in the Ionian Sea. Here comes the British territory. 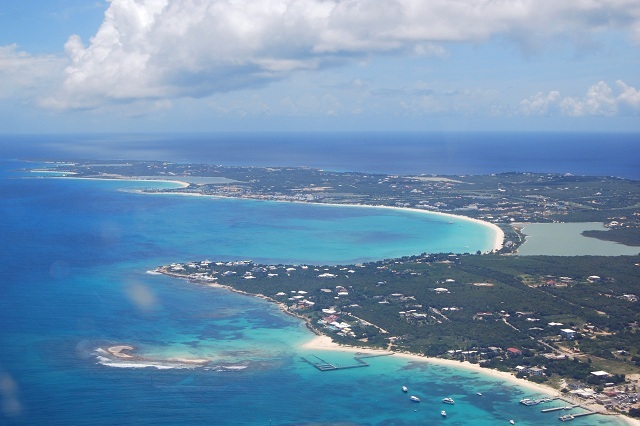 Anguilla Island is a perfect paradise of a place visualized by romantic hideout seekers. From this aerial view, one could not gauge its length and breadth but I read this most visited island by the honeymooners, measures 26 km in length and just 5 km in width. Ah, that small width makes it easy for anyone to walk across from shore to shore. Anguilla comprises several small islets and cays too. The most thronged about the place in Anguilla is Cap Juluca, a beachfront resort and spa. Another frequented place in Anguilla is the Shoal Bay. Did you see Moorea just near the Tahiti Island in the map? Now that you know the location of Moorea, you won’t be surprised to know that it is found in the list of the most visited islands in the world by romantic couples. 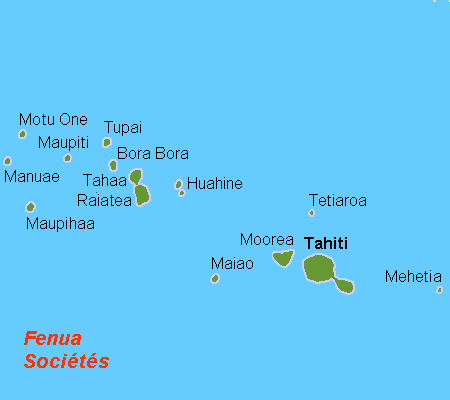 I thought Tahiti itself is an exotic island as one of the Polynesian Islands. In spite of being a volcanic island, tourists fell in love with Moorea for its azure water, mountainous surroundings, and white sand beaches. 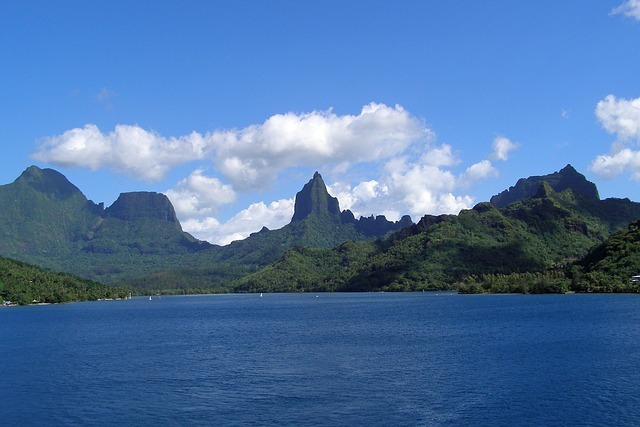 You can arrive at this lovely looking bay by ferry from Tahiti’s capital Pape’ete which is only 17 km away. As per Wikipedia, Moorea is very much the honeymooners’ destination and that has been advertised as such in American wedding magazines. So, that has come from the horse’s mouth; what else do you need, about-to-be-married and just married couples? 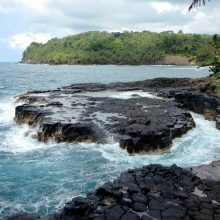 Ah, the Tahitian Islands’ beauty and culture are just perfect for every tourist, more so for the romantically inclined honeymooners. 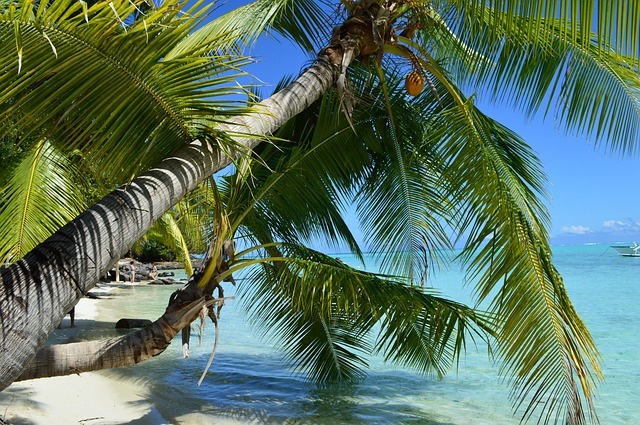 These Polynesian Islands may not be in the bucket list of Americans and Europeans but the Aussies, New Zealanders, and other Asian countries residents frequently visit these south pacific islands with their spouses and lovers. 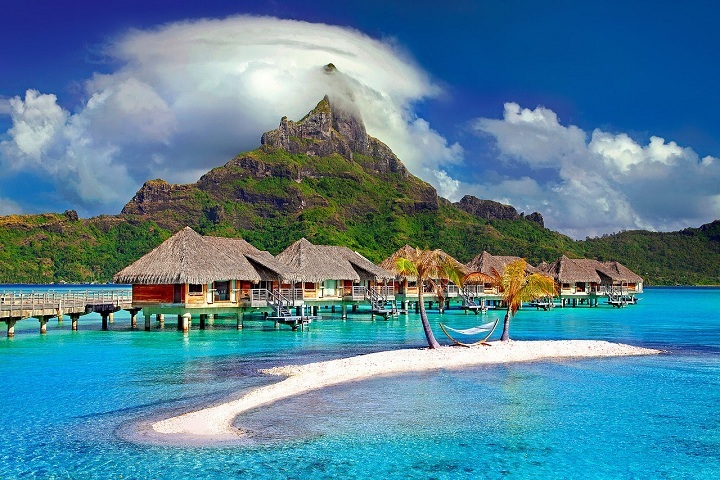 Look at these overwater bungalows. Aren’t they seductively made for privacy seekers? Well, ‘bungalows’ may be misnomers but you can call them as overwater villas. Every overwater villa is assured of complete privacy. The guests can enjoy swimming after dusk in their private plunge pool. Bora Bora is surrounded by small islets that invite not only humans but myriad marine life too with its beautiful and transparent lagoons. There is a dormant volcano named Mt. Otemanu on Bora Bora. Though visitors to these more popular islands may outnumber the other honeymoon islands that wrote about, they may spoil the mood as they are just too crowded for getting some privacy.